Football Tickets for Paris’ Friday night will be sold from the Field House Office from 8:00 am until 2:00 pm Friday of this week. Paris Wildcat’s vs. Pleasant Grove, Kick Off on our new Stadium Turf and Track at 7:30. Football tickets cost Before Game – Student: $3.00 and $ 5.00 for an adult. Reserved Tickets will cost $10.00 per seat. Student and Adult Tickets will also be sold in the School Store at Lunchtime. Football Ticket sales at the Gate will be $6.00 General Admission and $10.00 Reserved. Senior Citizens, Employee and one other admitted in with a badge, free. Come and have a great Friday evening. Friday Night is Law Enforcement Night. Please come and give them a hand of appreciation. See all you on Friday Night! There will not be a “Tailgate Party” this Friday Night. There are plans for a Tailgate Party to be on 9-14-18, in two weeks. The Concession Stands will be open and I bet you can find all kinds of good stuff to devour on Friday Night. 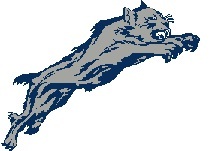 Paris Ladycat Volleyball will be playing in the Wildcat Gym this Friday night (Aug 31). Paris vs. Texas High. Varsity plays first, starting at 4:30 and then JV-2, and JV-1. Gee, let’s make an evening of it. Volleyball and then Football. How much fun would that be?